While many tasks are required for proper records management, labeling/tagging could be considered one of the most important. Whether physical or digital records, this must be an explicit part of the content process. For physical records, it's necessary to label files, boxes, and shelves so content is well organized and easy to find within storage. Labeling is also crucial for electronic records since properly tagging files and sub files ensures electronic records are easily searchable on whichever platform they are stored on. Given the necessity of this task for RM, how do we make sure content is properly labeled/tagged? The 2017 release of Advanced Data Governance with label management for Office 365 provides tools that can be utilized for simplified labeling practices, depending on an organization's content needs. This post will define two main methods for labeling and cover both benefits and gaps of O365 ADG and Labels. To start off, there are two methods for labeling/tagging: manual and automatic. While the manual process of applying labels one-by-one to content is common for physical records, it has proven to be a less-than reliable option for productive electronic content management (ECM). Since there is so much digital content (try to think about every document, email, and folder you work with), having individual users manually tag and/or label their own documents can result in disorganization, missing tags, or documents that may not have been tagged or uploaded at all. Automatically labeling and tagging, is the more dependable of the two. With this method, content can either be tagged by applying rules, policies, or workflows (which requires metadata and/or an approval process), or based on content analysis (certain keywords, patterns, and context extracted from the content). Automatic labeling skips potential for human error, but requires the right tools to work effectively. This is where O365 ADG and Labels can come in handy. Office 365 now offers Advanced Data Governance (ADG). Through machine learning, this tool helps organizations search and retain important data, and eliminates any information that is not required (for example: redundant or obsolete content). O365 ADG is excellent when it comes to data loss protection, having centralized RM capabilities, and API is available for extension. An additional component of ADG is label management, which automates the labeling process by enabling users to create and define where they would like to deploy via applying label policies. 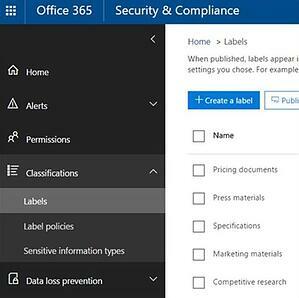 O365 Labels is available for different types of content with industry regulations and internal policies across an organization. They can be created based on specific time periods, and can also be marked as 'records' so other users may not edit or delete the content or label attached to it (content's metadata can still be edited). 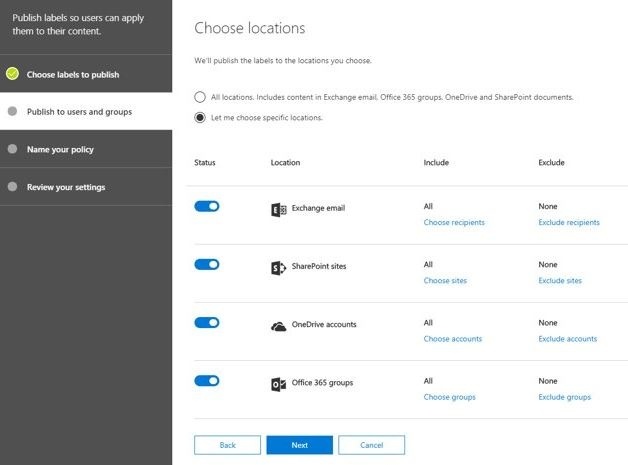 For the end of a retention period, content under the O365 Label may be deleted automatically, trigger a disposition review, or be left alone depending on how it has been set up. In this way, O365 ADG and Labels provide users with excellent policy-based capabilities around labeling and tagging. But are there scenarios that these tools may not be the right fit? We've reviewed some of the benefits of ADG for labeling within Office365. However, any time an organization has content stored outside of the platforms listed above (ex: in file shares, on-premise SharePoint, physical records, etc.) transfer would be required, otherwise content could not be labeled with this tool. This additional step would tack on extra time just to be able to organize and label records. Another gap can arise with file organization for users who require their record categories to be organized hierarchically, since O365 Labels cannot be organized in that way easily. Regarding content versions, not all versions of documents uploaded are tracked and kept, which could be a problem for users that require the ability to upload multiple versions of their content. In addition, if versioning is not turned on, only the final copy of the file will be kept as a record. If some of the versions are lost, there will be a loss of information. Another downside is that the retention lifecycle is not always sequential: there can be multiple paths or stages of review in a workflow before a piece of content can be destroyed. To ensure users get a result they can manage and trust (such as grouping and/or regular expression), e-Discovery based on keyword matching and basic comparison options may be required. Additionally, not all content have text-based information. 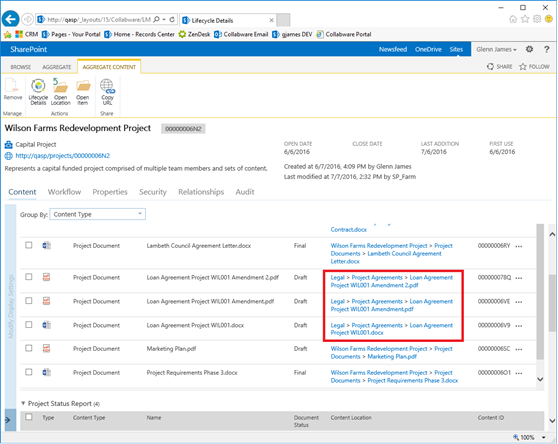 ADG and label management are O365 enhancements that can serve to streamline the labeling process by allowing users to apply label policies to a range of different content types. However, when considering the addition of these tools to your RM belt, it is also critical to know potential gaps in these features, such as issues with content versions, file organization, or retention life cycle sequences. 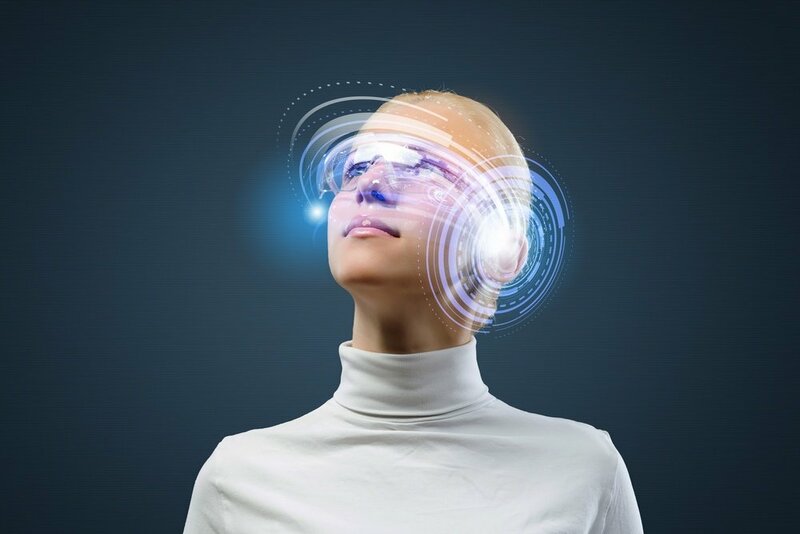 On top of learning about the available tools, reviewing and understanding your own organization's content and labeling requirements brings clarity on strengths and what can be improved on for more efficient labeling, tagging, and other RM tasks. 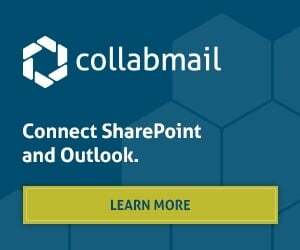 Want to learn about how Collabware can fill some of these gaps with our RM solutions, or how to best upgrade RM practices for your organization? Contact us with your questions, for a free demo, or a discovery call. We also have a free RM Health Checklist available for download if you would like to check the status of your organization's current practices!